You are here: Home / Paul's Blog / History, Liberty, Freedom / Who’s Our Winston Churchill? Winston Churchill was the first person to be made an honorary citizen of the United States on April 9th in 1963. Before that he was granted citizenship of eight individual states: Hawaii, Maryland, Nebraska, New Hampshire, North Carolina, Tennessee, Texas and West Virginia. 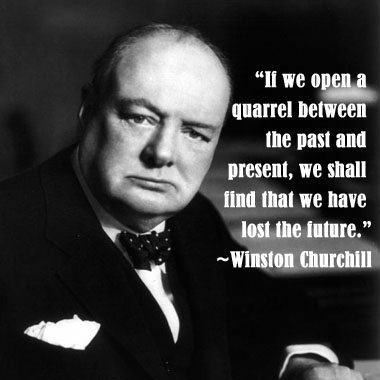 Today, Winston Churchill Day, commemorates this event. He was a man who didn’t mix words and spoke with clarity and boldness regardless of whether what he said was popular or if it was what folks wanted to hear. Winston was the Prime Minister of the UK from 1940 to 1945 and again from 1951 to 1955. He is widely regarded as one of the greatest wartime leaders of the 20th century. Churchill was also an officer in the British Army, a historian, a writer, and an artist. He won the Nobel Prize in Literature. During the 1930s, Churchill took the lead in warning about Nazi Germany and was known for being particularly hostile to socialism. Churchill beat Hitler by being named Time Magazine’s ?Man of the Year?, not once but twice, in 1940 and again in 1949. The title is granted to those who have significantly influenced the course of history. On his second time receiving this distinction, he was named ?Man of the Half-Century?. The majority in our .gov could do well to follow his example — and apply a few of the quotes above to their daily efforts.